Before you begin working your way to foreign language fluency, it helps to understand the culture behind the language you’re learning. After all, language exists to help a group of people express their ideas and beliefs. Italy is an old country with a rich history and culture. As you begin your Italian language program, gaining a strong grasp on this history, the values, and the etiquette will help you rapidly achieve success. In particular, the Italian passion for football rivals that for their religion. Italians are so devoted to football (known as soccer in the US) that some observers go so far as to call it the true religion of Italy, instead of Roman Catholicism. The Italian national football team is among the best in the world. Watching the local team on game day (typically on Sundays) is an important ritual, and the national team’s victories are celebrated across the country. Local football clubs such as Juventus, AC Milan, Inter Milan, and Lazio are owned by prominent business leaders and political figures. Italy takes as much pride in its top football teams as it does in designer names Ferrari, Armani, or Versace. The rivalry between Italian football clubs carries the weight of ancient rivalries between city-states in medieval times. The football season is an involved drama that takes place on the stages of stadiums across the country. 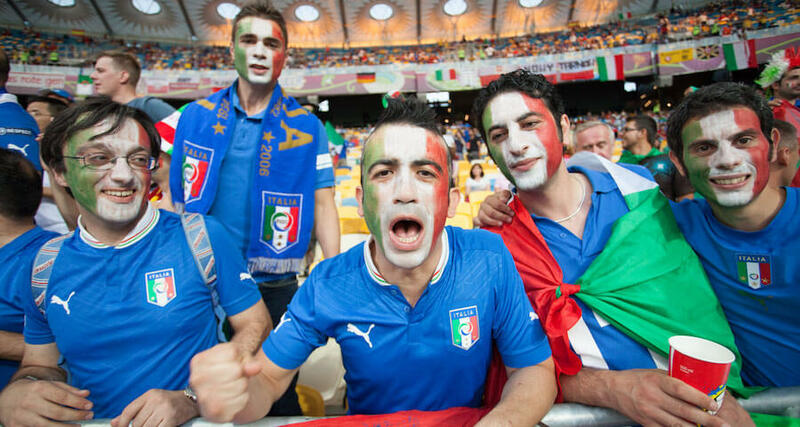 Italians take soccer very seriously; spectators discuss strategy and tactics endlessly and with great passion. For a quintessential taste of Italian football culture, sit in any café (called “bar” in Italy) with a big screen on game day and join in the excitement with a friend and impassioned discussion. Why Is the German Language so Precise?